It is a known fact that most cars suffer throttle lag, particularly newer cars with drive-by-wire systems that inefficiently control the signal from the cars throttle to the ECU. 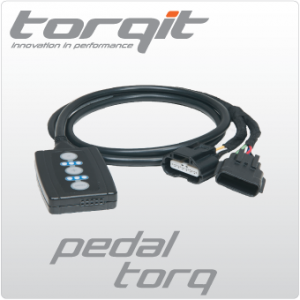 Pedal torq eliminates throttle lag by taking the signal from the pedal, adjusting it to an efficient signal setting and sending it on to the cars ECU. Many modern vehicles utilize a ‘drive-by-wire’ control system for the accelerator. This means that when pressure is applied to the accelerator pedal a sensor measures how much pressure has been applied and sends signal to a control module which in turn sends a signal to the engine to open the throttle the corresponding amount. The pedal torq module sits between the sensor and the control module, intercepting the signal and altering it in order to shorten and improve the response time. Pedal torq reduces the amount of pedal pressure required to achieve ‘throttle wide open’, allowing drivers to access the engines full potential. Want to know more? 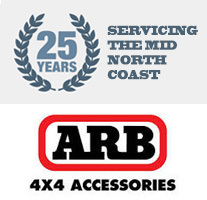 Call in and talk to the boys at Taree Off Road!